You have something to say, but finding the right platform for your content is as important as what you have to say. If you’re a professional with a valuable perspective to share, you have to find the audience it will resonate with - the audience you can invite along for the ride. It’s that perspective that makes you unique – and that ability to spark conversation among your peers that can take you far. Just as you bring it to the table each day to work for your company, your platform can and should be working for you. 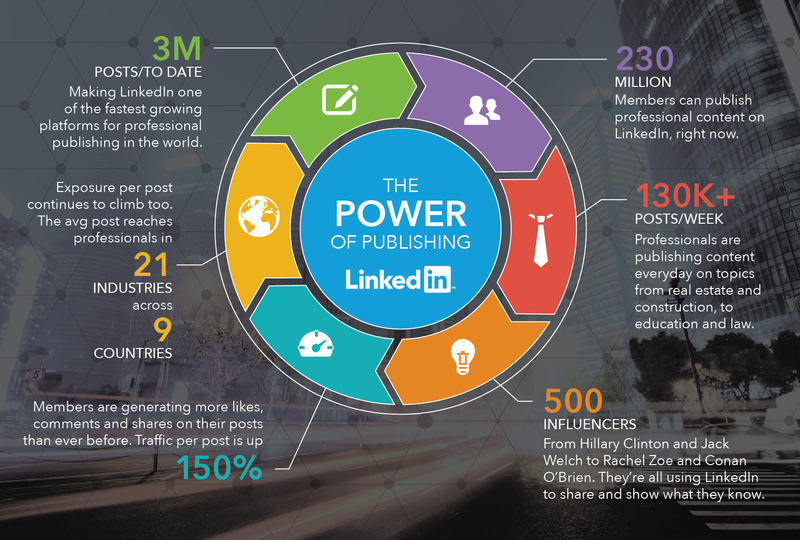 We know there are plenty of places to share your thoughts on everything from top food destinations around the world to top tips for getting the best manicure– but for content for that is relevant to professionals, LinkedIn is the only platform where the audience you want to reach is waiting for you, and wants professional content. Other sites have content in search of an audience but LinkedIn has an audience in search of content (in fact, more than 360 million professionals worldwide), and with it, you have the ability to speak directly to the people you want to reach. What does that mean for you? It means that publishing on LinkedIn can have a direct impact on you as a professional, like those experienced by Janet Matta, who landed her dream job in a new country thanks to a series of events that started with a post on salary negotiation , or Robbie Abed, who met his professional idol and mentor following a wildly crazy post he did on LinkedIn about how he took 250 coffee meetings in 400 days. But it doesn’t stop there--you can also see what impact you’re having. Once you’ve published on LinkedIn, check out your post analytics to see who read, shared, or commented on your post, plus important insights on the industries and regions your readers come from, their level of seniority, and how they found you. Leverage those insights to help tailor your message, share it with your network, and let the power of LinkedIn and your network get your content in front of the people that actually matter to you most. Share your perspective, build your professional brand, and let your voice be heard – most importantly, make sure it’s being heard by the professionals that matter to you.